Congratulations on your new addition! She is beautiful! Congrats Jesse, Scott and Chanler! She is beautiful! And what a gorgeous name, Jessaleigh! Eat, sleep, poop, and be happy! Congrats!!! She is beautiful! Happy Babymoon!!! Welcome to the world Jessaleigh! You are a lucky girl to be a part of such a great family. Welcome to the new world of living. I am so glad that you have arrived. It makes my job so much easier. Glad things went well and what lovely pictures you have. A slightly belated welcome from the Voss family! I have known your Dad and Mom for some 18 years now, and they are awesome people! You are blessed. I hope your parents decide to bring you down to Disneyland soon, so we can meet you in person! Also I am wondering what your name means, and how you got it? I am guessing it is after your Mom, but would love to hear the story behind it. Love Hank, Johanna, Sam, David, Renee, and Isaiah! Congratulations to all of you on a wonderful addition to your family. Jessaleigh is beautiful and I’m sure she will find countless ways to bless your lives. Welcome to the world, beautiful girl! You look just like your daddy… Take care and have fun with Chanler. Maybe someday we’ll meet face to face. 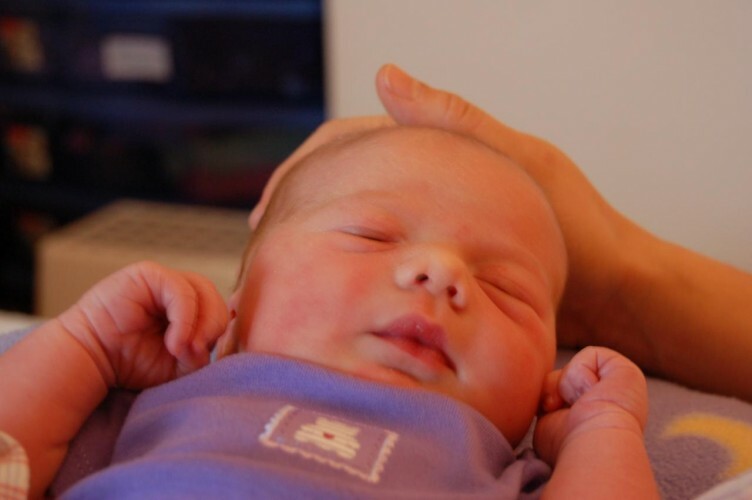 My little girl is only a month older – born New Year’s Day! We are so excited about the addition of the beautiful Jessaleigh to your family. Woo hoo! You are one year old! Happy birthday, precious. I hope your new tooth doesn’t bother you too much. And have a super happy birthday! How did you come up with the name Jessaleigh? I swear I thought of it today on my way to work. So I googled it and I guess it’s not 100% original. What was your inspiration?